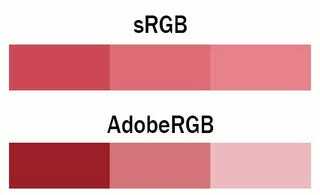 Check "color space" in your specific body's manual index....The note in both my manuals is: "If the image is captured with the color space set to Adobe RGB, the file name will start with '_MG' (first character is an underscore)". BTW, not absolutely certain, but I'm pretty sure this "color space driven" file naming convention happens regardless whether shooting JPG or RAW. I suspect some of the apparent contradiction voiced in above posts may be that if you shoot a series of photos with the same body on the same CF card, but switch back and forth between a custom RAW mode and any one of the auto modes that produce only JPG's, the color space is automatically defaulted to sRGB for those auto camera modes - which happen in this case to coincide with JPG files. Which causes those files to start with "IMG". But when you switch back to any custom mode, the overriding camera setting of AdobeRGB color space takes over again. Which causes these files to start with "_MG". Now I need to learn the difference between the two.